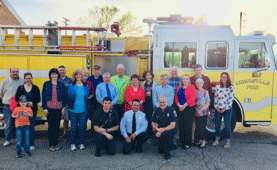 Citizen's Academy is a series of classes offered by the Brecksville Fire Department every Spring. Must Be a Resident of the City of Brecksville and Must be 18 years of age or older. No Cost to Attend! Check the Brecksville Bulletin for dates and times. We offer residents and businesses of Brecksville CPR training. The classes are available by calling the fire department. We can schedule a class for a group of people or advise you of the next scheduled class that is offered at the fire station. 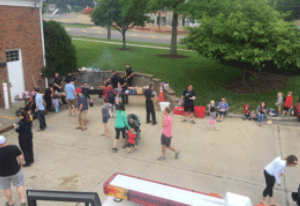 We can come out to your business or group gathering to teach the class or it can be held at the fire station. All the classes are taught by American Heart Association standards and guidelines. Contact firefighter Sergio DiGeronimo at 440-526-2640 for further information. This is a lecture and hands on class that is available to businesses and organizations in Brecksville. The class will cover basic fire extinguisher use and fire safety in the work place and at home. 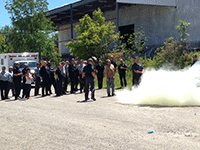 You provide the fire extinguishers and we will provide the instructor and information for the class. Car Seat Inspection Stations are a free service offered to the public for those who wish to check that their child’s car seat is safely and securely installed. Inspections are conducted by certified Child Passenger Safety Technicians at the Brecksville Fire Department. Those looking to have their car seats inspected can schedule an appointment with the fire department by calling (440) 526-2640. Buckle Up! Every Trip, Every Time! Always buckle up children 12 years and under in the back seat. It’s the safest place. Always use a child safety seat appropriate for the child’s age, weight and height. Never place a rear facing child safety seat in the front seat of a vehicle where and airbag is present. Always install and use the child safety seat correctly, following the manufacturer’s instructions. Always set a good example by wearing your own seat belt. 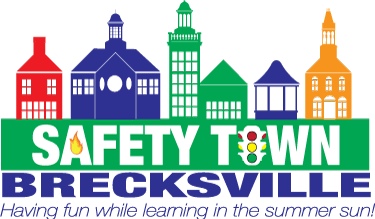 Safety Town is an early education program designed for children entering kindergarten (or 1st grade if they have not previously attended). 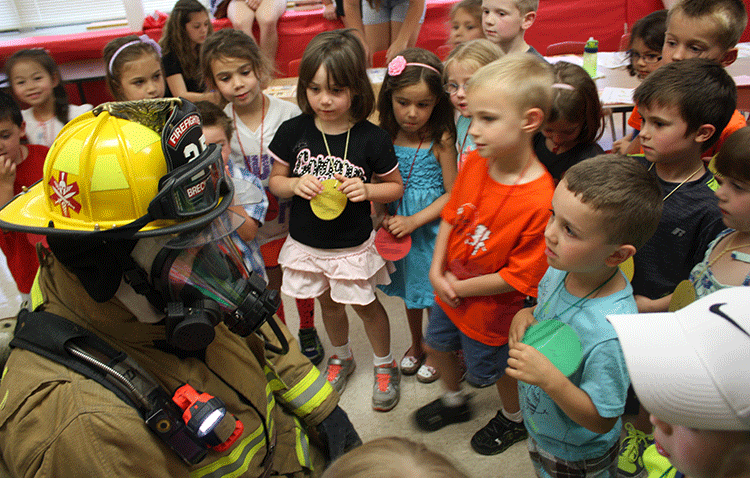 During the 2 week program (2 hours each day), the young children learn about a safety related topic via guest speakers, books, games, movies, craft projects and hand-on experiences. Topics included during Safety Town are: traffic safety, home safety, poisons, animal safety (both wild and domestic), stranger safety, water safety (swimming, lakes & boating), basic bicycle safety, pedestrian safety, fire safety, schoolbus safety, & basic school safety. Officer Mark Kryznowek and Dispatcher Donna Rees, from the police department, are assisted by teenage volunteers from the community. Guest speakers include various police officers, Ptlm. Mike Bauman and K9 Peto, a nurse, various firemen, a schoolbus driver, a representative from poison control, the animal warden, and a former newsroom employee who specializes in weather safety. A miniature town is set up outside, compete with houses, streets, street signs, a working traffic light and sidewalks. Here, the children practice real-life situations, such as crossing the street, walking on the sidewalk and obeying traffic signs. The youngsters also have the opportunity to “drive” kett cars around and become motorists. Art projects and movies featuring some Disney characters help to reinforce the safety concepts presented.